Getting the sale doesn’t work anymore. Now, for building products brands, it’s about getting the contractor. Building products brands don’t like to admit it, but selling products is a whole new venture these days. Social media, online communities and analytics are blurring the boundaries and pushing sales reps off their games. In this environment, only the brands that truly “get” their contractors will get their business. The changes can be unsettling, but you can fix them. It starts with understanding the contractor’s journey, and going where your customers have gone. Brands that want to engage, impress—and convert— contractors must make the most of digital marketing, in real time, at all stages in the contractor’s plight, and for the new insights it will provide. 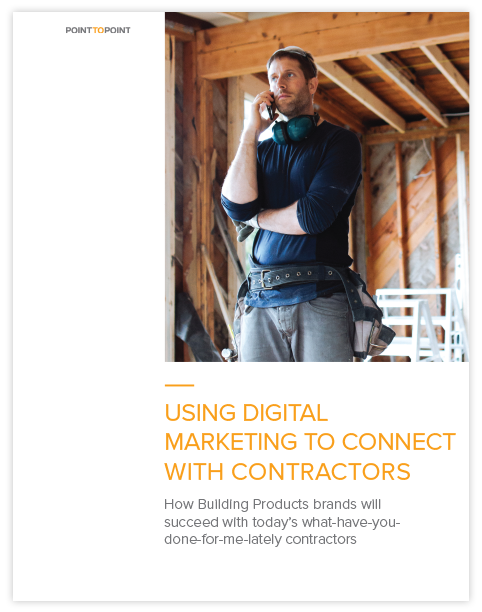 Get started by downloading our free guide on how to reconnect with contractors using digital marketing strategies. We’ll share resources, ideas and best practices that will illuminate their journeys and unify your approach. Complete this form to download your free Contractor Marketing Guide.